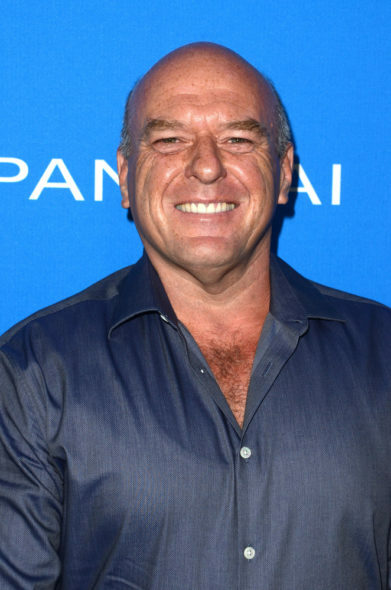 Breaking Bad vet Dean Norris has joined the cast of the Claws TV show at TNT. According to Deadline, Norris is taking over the series regular role of Uncle Daddy, “…a dangerous Dixie Mafia crime boss who is deeply Catholic and actively bisexual.” Peter Firth played the character in the pilot. TNT describes Claws as, “…a midnight-dark, wickedly funny meditation on female badness set in a South Florida nail salon.” Niecy Nash, Carrie Preston, Harold Perrineau, Jenny Lyon, Judy Reyes, Jack Kesy, Karrueche Tran, Kevin Rankin, and Jason Antoon star. The hourlong dramedy comes from executive producers Rashida Jones, Will McCormack, and showrunner Janine Sherman Barrois. It seems like Norris’s Uncle Daddy will fit right in. What do you think? Do you like the sound of the Claws TV show? What do you think of the cast? Do you plan to check it out when it premieres on TNT? Let us know, below.